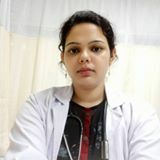 Question: Hi, my wife is on 28th week of pregnancy and she has never done the level 2 ultrasound yet. Can we do that now. Is that compulsary to do. Question: Hi, my wife is in 9th week pregnancy, she has thyroid level of 4.9..is that major level..? Question: my wife is 28th week pregnant and has frequently urinate what can i do. Answer: I think so it may be urine infection go nd meet ur doctor nd tell her to drink plenty of water.